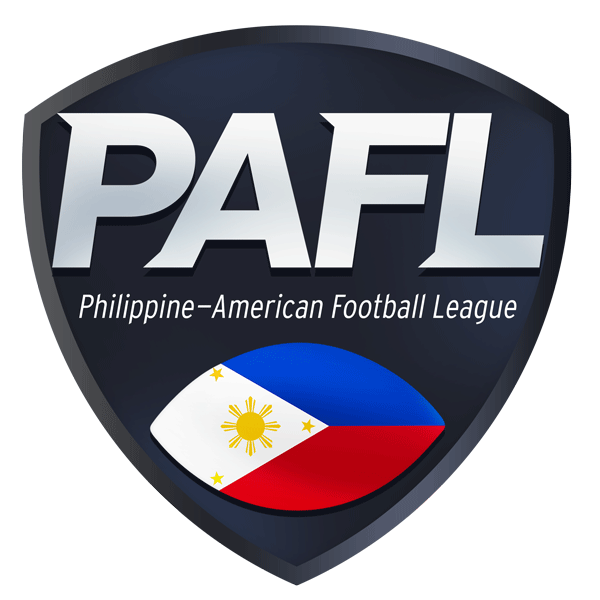 PAFL – WOLVES and CAVEMEN back in the FINALS! The stage is set, the date is fast approaching and a clash of titanic proportions is a certainty as the PAFL Finals is looming closer with the top two teams in the league battling it out for supremacy on December 1. 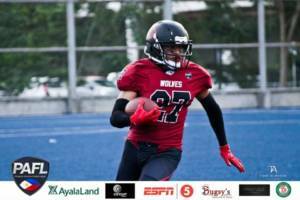 Set for a showdown one year in the making as a rematch of title contenders, the Wolves and the Cavemen are gonna settle the score once and for all at the Blue Pitch in Circuit Makati. The Wolves, fresh off of their dismantling of the Warriors in the playoff round are coming off as the only unbeaten team this season. Carrying over from their record on season 2, they are still on a winning streak as no team has ever handed them a loss in the last two years. Known for their offensive scoring abilities as the team that has beaten all of their opponents by a wide margin, even going up as far as 90 points in a single game, they are by no means a contender of the highest level in the country. 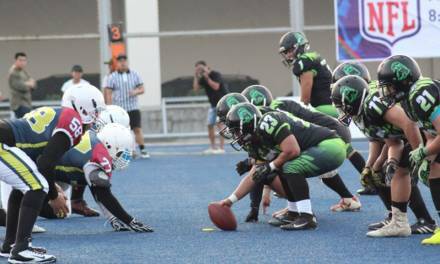 Led by all star QB Luke “Z-Man” Zetazate, their offensive passing capabilities are next to none as they boast one of the most solid offensive lines in the league. Their defense isn’t to be trifled with either as they have held back most teams from scoring 2 or more touchdowns all season long. 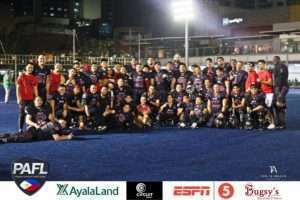 As one of the longest running and most complete team in the league in terms of tenure as they have transitioned from the now defunct ABP organization back in 2015, they mostly kept their roster tight even with new additions throughout the years. 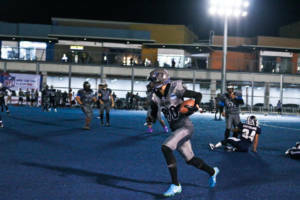 Their experience in high pressure situations never seems to falter as they have overcome almost every challenge thrown their way through hard work, dedication, and the cultivation of the right mindset when it comes to playing the sport. They are in simple terms, prepared to win yet again. 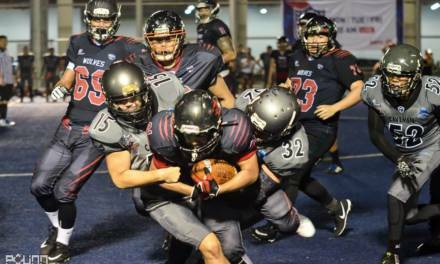 The Cavemen, after dismantling the Datu in a closely contested game during the playoffs are seeing their 2nd finals appearance in as many years as they were formed right at the start of season 2. 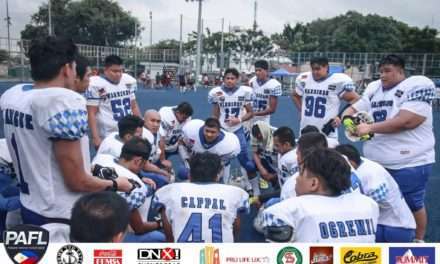 A strong combination of veterans and new players from other teams, the Cavemen will look to their experience when it comes to knocking down barriers in front of them. 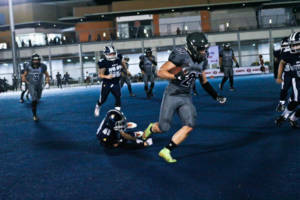 Known for their seemingly unstoppable running game, they have gained confidence in playing to their strengths whilst keeping their opponents guessing as to what offensive weapons they’ll be unleashing next. 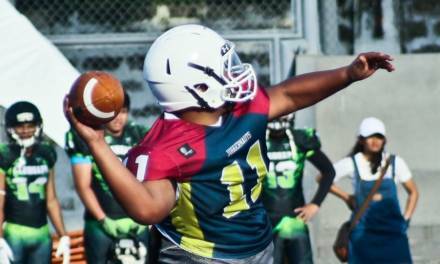 Led by seasoned veteran QB Mike “Sunshine” Hoese, they’re ready to take the gridiron as their own personal playground as they look to once again overcome the odds in the face of last year’s champions. 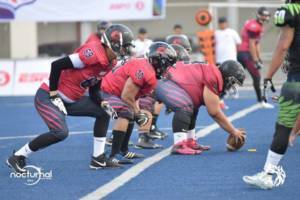 Their defense is also on par with the best of the best as they have held their opponents back from scoring at will all season long and they look to unleash the same intensity in the final game of the season. 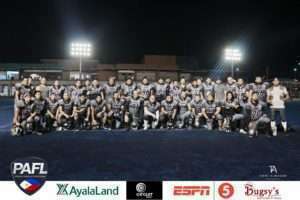 Catch the most highly anticipated game this year as the Wolves and Cavemen finally meet at the finals of PAFL SEASON 3!